We’re so excited that your child will be joining us for Camp this summer. We want to make sure you and your child have everything you need to have a great experience. Our staff works all year long to prepare for the time your camper spends here. Now that you’ve signed up, here are the steps you can take to make sure you’re prepared. Make sure you submit both a completed Health Form and Confidential Form at least 30 days prior to your camper’s arrival at Camp. The medical examination form must be signed by a physician and include the date of the camper’s last tetanus shot. A school physical done within 12 months of camp is acceptable, just attach it to our form and fill in additional information needed. In order to be in compliance with state regulations a completed health information form including your child’s health history and physical examination record, signed by a doctor, must be on file. For every day of your child’s camp session that these forms are not on hand a fee of $50 per day will be assessed. Your child could also be sent home due to failure to comply with this requirement and no refund will be given. Camp requests that forms are to be sent to camp at least 30 days before the scheduled camp session so they can be properly reviewed by camp health personnel. Please be sure to disclose any food allergies or dietary restrictions on your child’s health form. We will do our best to provide alternatives. We also ask that you contact our Food Service Director at least 30 days in advance of your child’s stay so you can discuss the best course of action. Campers are allowed to bring a small amount of snacks, but only if they are stored in an airtight container, such as a Ziploc bag. Drinkables are not allowed, except for bottled water. Due to allergy sensitivities, we ask campers not to bring products with peanuts or tree nuts. If your child has a disability or special needs, please call us at least 90 days in advance of the camp date for an evaluation of the camper’s care needs. 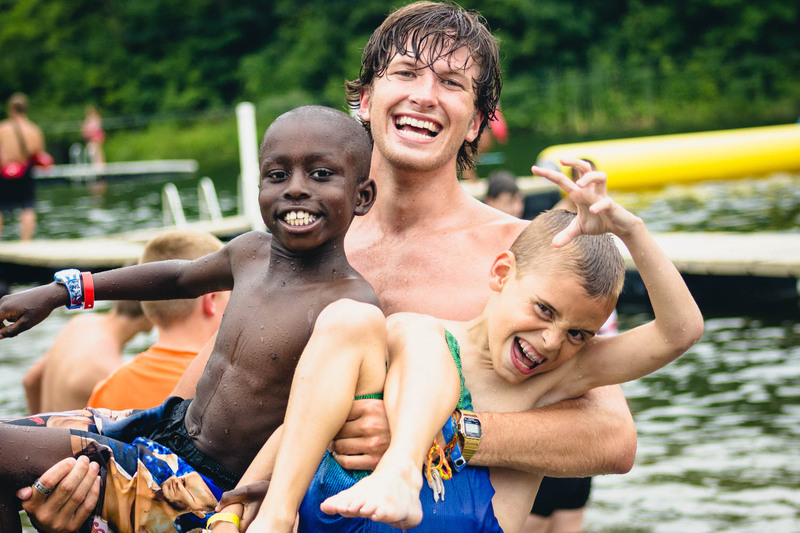 Camp Tecumseh counselors are encouraging and patient and can help facilitate successful camp experiences for children with mild and moderate disabilities. Our programs are not designed for campers who need significant assistance or personal care, require constant one-on-one support, or have difficulty managing their behavior in group settings. Health conditions requiring advance clearance include, but are not limited to: Insulin Dependent Diabetes, Cardiac Situations, Asthma, Seizure Disorders, Autism Spectrum, and Serious Food Allergies. Your child will automatically be allotted $50 per week to spend in the trading post (unless indicated differently on your registration form). This amount is charged to your card at the time of registration. Any remaining balance at the end of the your child’s stay is refunded to your credit card. If you would like to adjust the allotted amount your child can spend, please contact our office. Campers should not have any money in their possession while at Camp. Prior to camp, parents and campers may wish to discuss the amount of money that is allotted in their trading post account. The enjoyment of camp is not dependent on the amount of money spent at the Trading Post. Please discuss with your youngster the things that might be most appropriate for them to buy. One can of pop or juice may be purchased each afternoon and one snack item may be purchased after supper. Our counselors encourage campers to wait until the end of the week for higher-priced items (shirts and sweatshirts). *World Service is an important aspect of our mission. Camp Tecumseh offers campers the opportunity to make a maximum contribution of $3.00. This money is used to support Camp Tecumseh’s commitment to causes in both our local community and abroad. 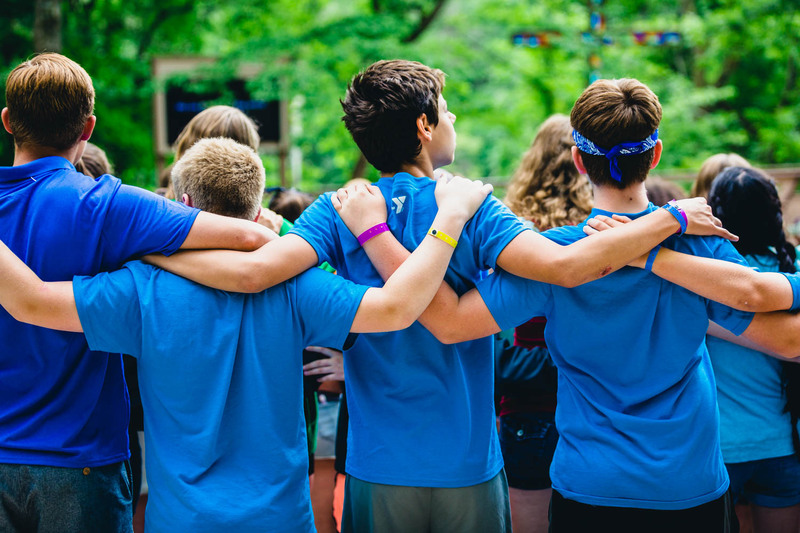 At Camp Tecumseh, we allow campers to request one friend to join them in their cabin. To ensure that campers will also have the opportunity to meet new friends, we allow each camper to list only one name as a “cabinmate request”. If the two campers are within one year of each other’s age they can be placed in the same cabin, although if their ages fall into different units, they may be placed together in the younger age unit. To ensure the best experience for all campers in the cabin group, we do our best to limit large groups of campers who already know each other from being placed in the same cabin. Therefore, we can only honor one mutual and exclusive cabinmate request – two campers who list only each other as the cabinmate request on their registration form. We encourage you to coordinate your cabinmate request with the other family in order to ensure a smooth placement, and make sure both campers are registered for the same week of Camp. While Camp tries to honor all mutual cabinmate requests, we do reserve the right to refuse a request if needed. 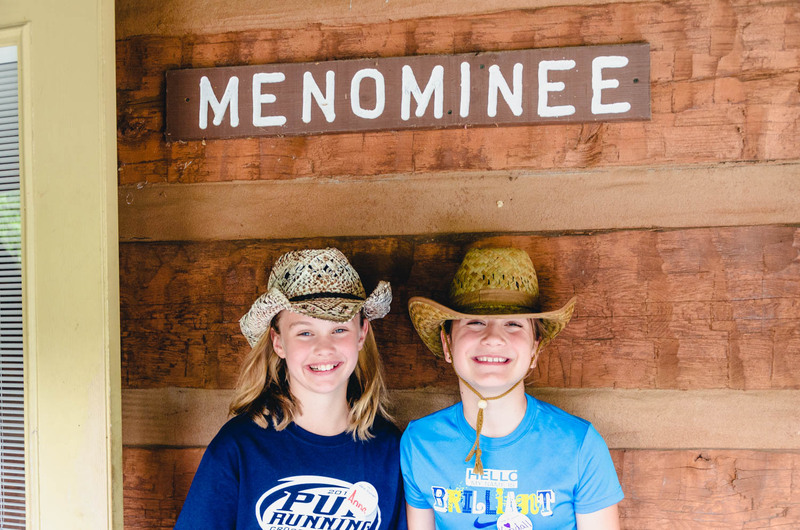 Camp cannot honor requests in cases where more than two campers have linked their names together. In cases where several campers have linked their names together with each choosing a different cabinmate, we will place the campers as Camp feels is in the best interest of all concerned. If you have a special situation for which you would like to request consideration, please call Camp at least one month in advance of your child’s Camp session. If you are requesting that your child not be placed with a certain child, it is your responsibility to inform the other family prior to arrival at Camp. 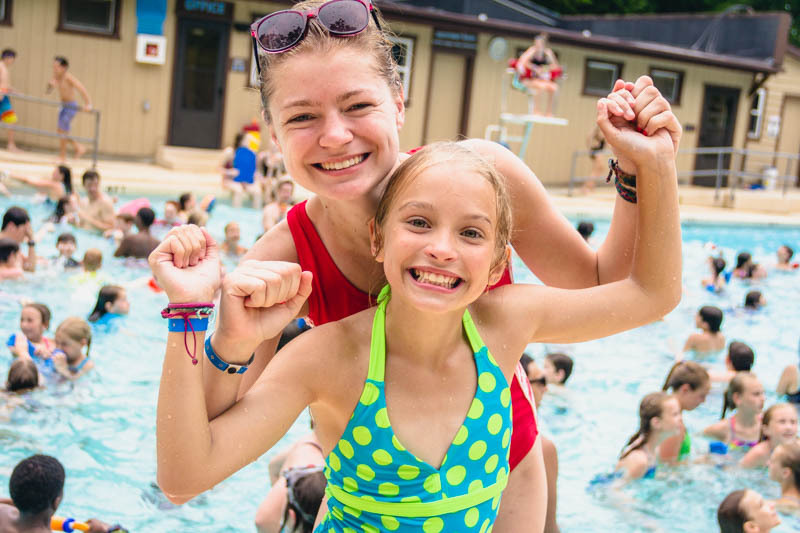 Finally, please note that even if two campers are not in the same cabin, there are still many opportunities for them to spend time together at Camp, such as daily swim times, cabin actvities, and all-unit or all-village activities. To learn more about our process for assigning cabinmates, read The Art of Cabin Placements. Make sure you pack the right stuff for an exceptional week at Camp. 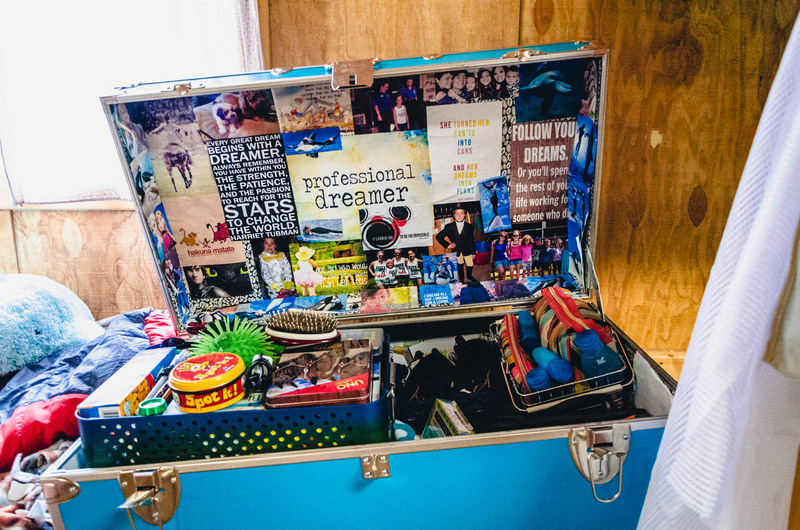 Because learning personal responsibility is an important part of the Camp experience, please talk to your camper about keeping track of personal items. To help recover lost items, put your name on all belongings. Possession of drugs, drug paraphernalia, tobacco, or alcohol products is grounds for immediate dismissal from Camp. In striving to provide a safe and appropriate environment for our campers, we ask that you help us in the choices of clothing your child brings to Camp. Campers should have enough clothing to last the duration of their stay. Those staying more than one week will have the opportunity to use their Trading Post money to launder their clothes ($8.50 a load). 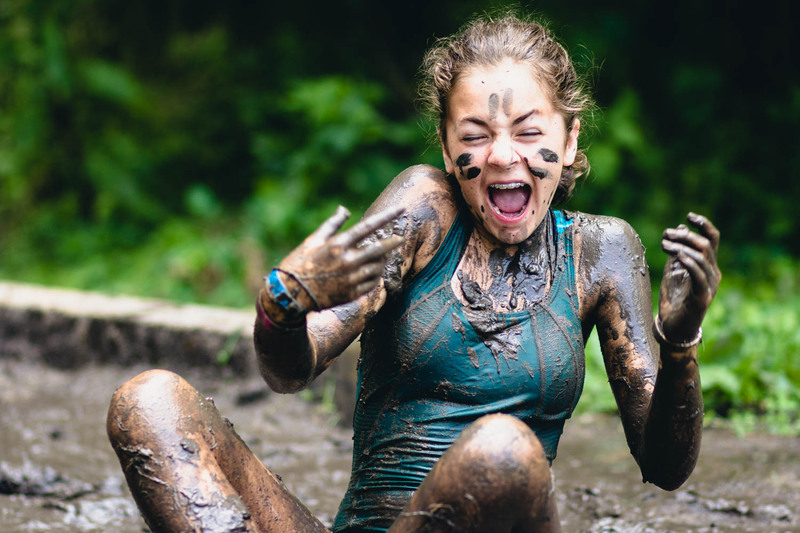 Campers should bring clothing that can get wet, dirty, and muddy without concern. All clothing should be marked with the camper’s name. Please ensure all clothes are acceptable for a youth camp. We request that phrases/graphics/logos be in good taste. 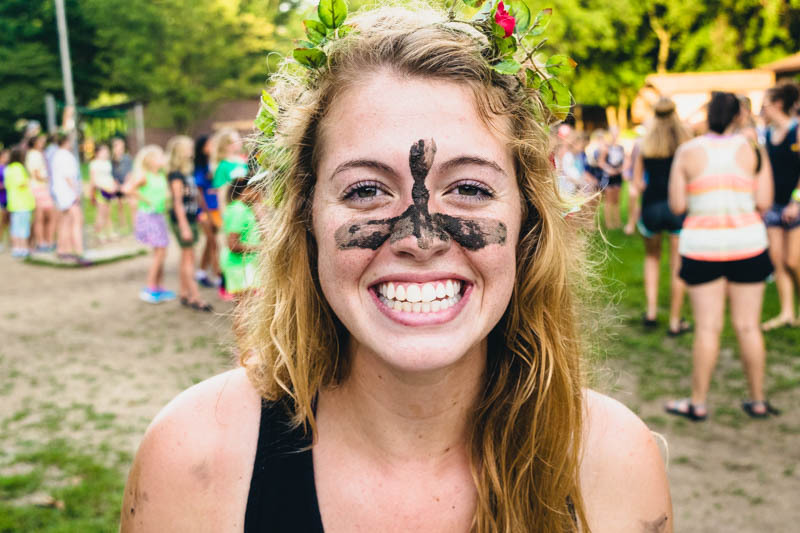 Camp reserves the right to prohibit the wearing of clothing the Camp Director deems inappropriate for a Christian youth Camp. To help maintain an atmosphere of modesty, we ask that all swim-wear be conservative in nature. For boys, please stick to board short-style swim trunks (no Speedos or Jammers). For girls, one-piece swimsuits or modest “tankinis” are great, otherwise feel free to bring a (non-white) tank-top to wear on top. Please pack a pair of long pants and closed-toe, hard-soled shoes if your child wants to take a trail ride, is registered for horsemanship clinic, or is attending Equestrian Camp. Long pants include jeans, breeches, wind pants, sweat pants, and capris that extend past the knee while sitting. Please no yoga pants. Tennis shoes are acceptable for those riding in a western saddle. Equestrian campers riding English should bring a boot with a 1/2″ heel. Crocs are not acceptable. Camp provides healthy meals, so snacks are not needed. Camp will allow campers to bring a small amount of snacks, but only if they are stored in an air-tight container, such as a ziplock bag. Please do not bring a large container of candy or other sweets. Due to increased allergy sensitivities, please refrain from bringing products with peanuts or tree nuts. Camp Tecumseh will not provide storage containers nor be held responsible for lost or stolen food items. Counselors will regulate when campers can have their food. Drinkables are not allowed, except for bottled water. Care packages may also be mailed to your camper during their stay. Check-in happens in River Village at the Creative Arts Center. We start at 2:00pm and end at 4:00pm. (All times Eastern Standard time). Please don’t arrive earlier, as our staff will still be busy preparing for campers to arrive. If you are arriving later, check in at the main office in the River Village lodge. When you arrive at Camp Tecumseh, follow the signs marked “Check-In” down to the River Village. For a smooth check-in process, please follow these easy steps. Find a parking spot in main field by Mt. Wood. Make sure you have your paperwork and any medication, but keep your camper’s gear in the car. You’ll unpack that later. Head to the Creative Arts Center (CAC) and find the staff member sitting under the white tent. They will make sure your camper feels well enough for a stellar week of camp. At the doors of the CAC, a few counselors will help campers make name badges. Make sure your child makes a name badge with the name your camper prefers. Pick a spot in any of the numbered check-in lines. The lines may look long and intimidating, but they move quickly. If you brought any medications (including over-the-counter medications or vitamins), or need to turn in a health form, stop by the nurses’ station. If you haven’t set up your camper’s trading post account or want to adjust the balance, visit the trading post line. Head back out to the parking lot and drive to your child’s cabin using the directions and map given to you when you checked in. Park in front of the cabin, unload your gear, and meet your child’s counselors. Feel free to ask them lots of questions. They’re pros. If someone other than a primary guardian is picking up your camper, fill out a special leave card and leave it with the counselors. Before any camper enters a cabin, our counselors must perform a lice check. Don’t worry, it’s quick. If you have more than one parent, you can tackle multiple lines simultaneously! While check-in starts at 2:00pm, the line is much shorter at 3:00pm. We are unable to disclose any information about campers who aren’t your own. 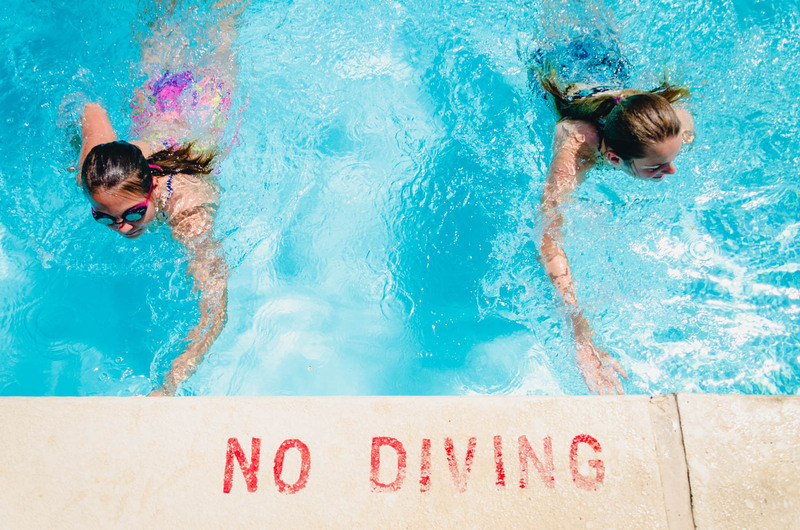 All of our campers, after arriving at their cabin, will visit the pool for a swim check. In addition to gauging a camper’s swimming ability, it allows our counselors to monitor for injuries that may need special attention during the week. Swimmers unable to swim two widths of the pool (40’x2), using a good front crawl and a secondary stroke will be automatically enrolled in swim lessons each morning. In addition, these campers will not be able to enroll in deep water swimming or boating clinics. If you do not wish for your child to have a daily swim lesson, please indicate that on the parent confidential form. Stay Connected to your child while they are at Camp. 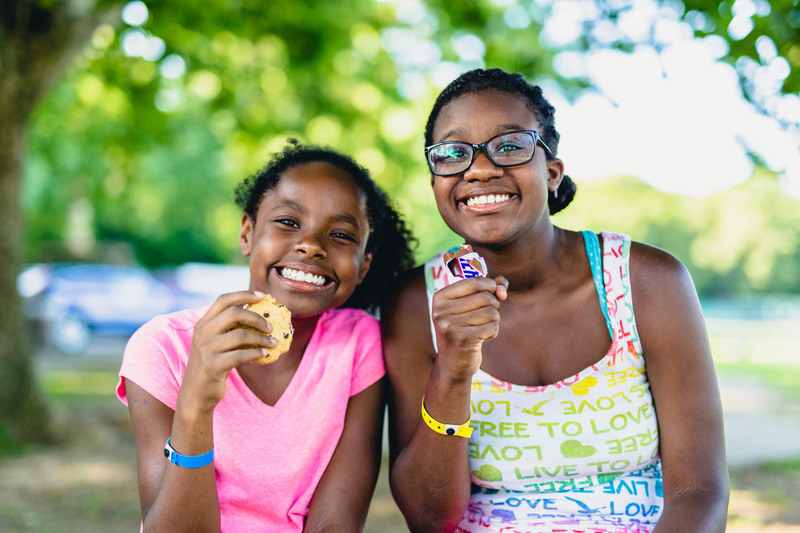 While your camper is making new friends, learning new skills, and growing in important attributes, you can stay plugged in to what’s happening throughout the week through our parent connection page. Stay in touch with your child throughout the week via email. Make sure to include your child’s name and cabin name in the subject line. 50 cents will be charged to your child’s Trading Post account for each page. 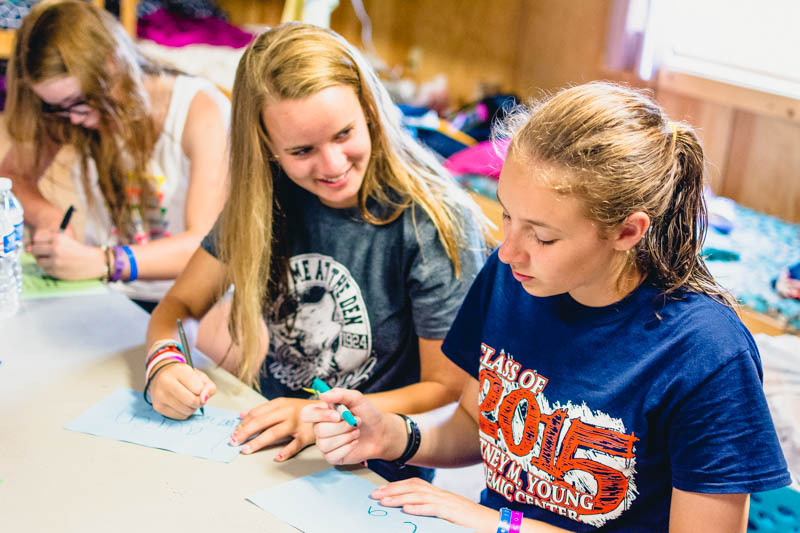 Campers can’t email outgoing messages, but they can write letters home. Please limit e-mails to text only. Our dedicated media staff does an outstanding job documenting the Tecumseh experience on a daily basis. Uploading new pictures multiple times per day, you can follow the action all week by visiting our photo galleries. From the galleries you can also save pictures, and order prints of your favorite photos. In addition to photos, our media team also puts together short videos throughout the week highlighting various aspects of the Tecumseh experience. At the end of the week, don’t miss our cumulative weekly videos which recaps all the fun of the week. Stay up to date with us via social media. We regularly post updates regarding the week to our Facebook and Instagram pages. Follow along to hear stories from campers, get updates on the weather, see photos and videos, and more. Sadly, our campers can’t stay all year. Here’s the secret to a smooth check-out. 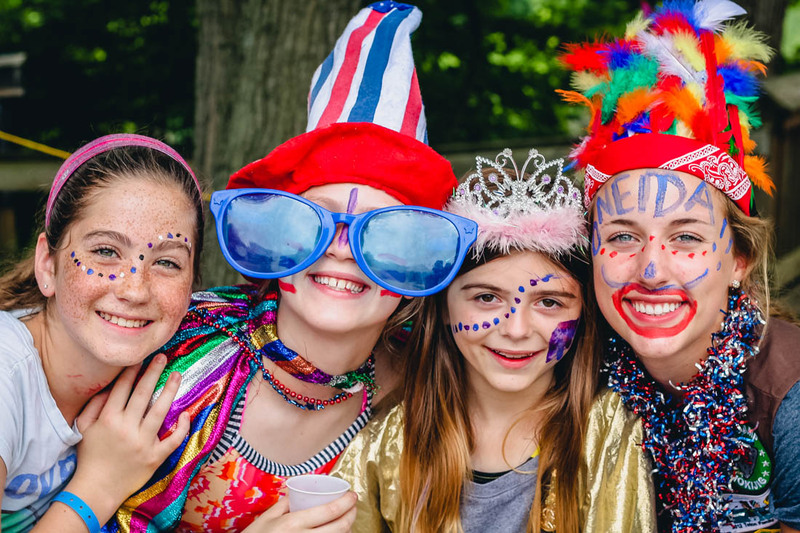 Whether it’s the last day of a weeklong camp or the end of the day for day camp, we’re all about safety when campers and their families leave Camp Tecumseh. Here’s what to expect during pick-up. Check out happens in Lake Village inside Kampen Lodge. We start at 9:30am and end at 11:00am (All times Eastern Standard Time). 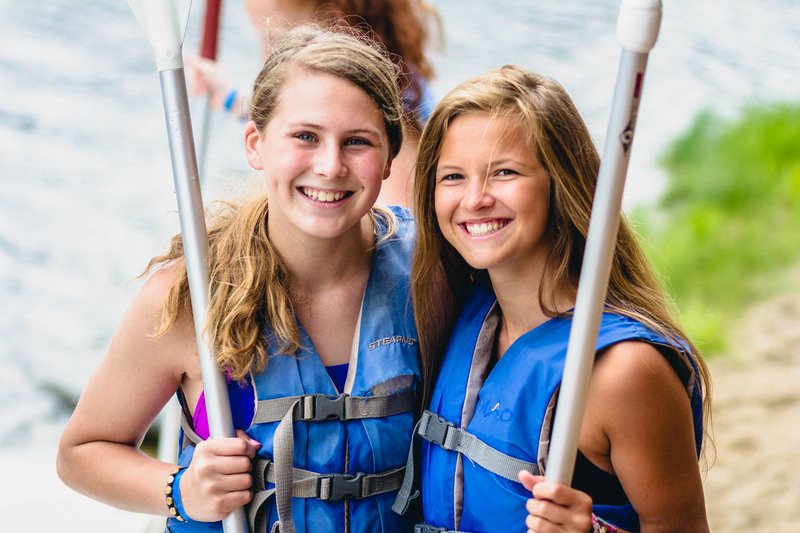 If you need to pick your child up earlier than 9:30am, please fill out a special leave card so our counselors can be prepared for your early arrival as our campers and counselors do not return from chapel until 9:30am. If you are unable to check out your camper out before 11:00pm, your camper will be with the stayover campers and counselors when you arrive. Drive to your camper’s cabin. If you are unsure of which cabin your camper is in, we have staff stationed in the parking lots of Lake Village and River Village who can direct you. When you arrive at your camper’s cabin, speak with the counselors to see how the week went and meet your child’s new friends. Complete a thorough search of the cabin, including the back porch, clothesline, and under beds, to ensure you have all of your child’s possessions. Make sure your child received a cabin picture and gets contact information from their cabin mates so they can stay in touch all year long. After loading up the car, drive to Kampen Lodge in the Lake Village and find a parking spot. Enter Kampen Lodge and collect your check-out packet. If your child has medications, visit the nurses’ station to collect those. If your child participated in an arts and crafts clinic, their projects can be collected from a table in the back of Kampen Lodge. Make sure to visit the audio booth to record your camper’s stories. Register for next summer at our registration tables. If your camper is staying for a second week, you may pick up your camper for the entire weekend or for a few hours. If you do so, please check your camper out with our staff at Kampen Lodge and check them back in with the staff when you return. 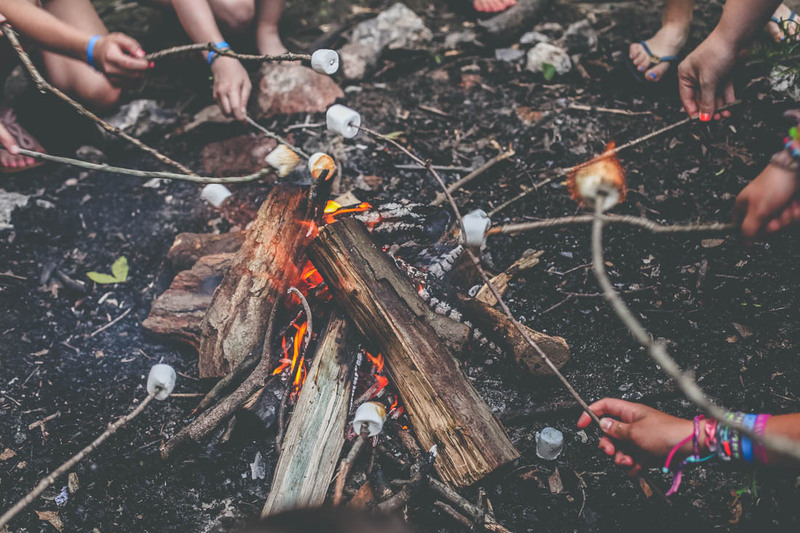 If you want to check out your camper’s friends, please make sure we’ve received written permission from your camper’s friends’ parents beforehand. Over the weekend, your campers will be supervised the entire weekend by our counselors. They may have to temporarily move to a different cabin for the weekend. If so, camp staff will help them move their needed items and return them on Sunday. Weekends are a time to rest and relax and include an extended rest hour, time at the pool, and a movie and ice cream before an early bedtime. 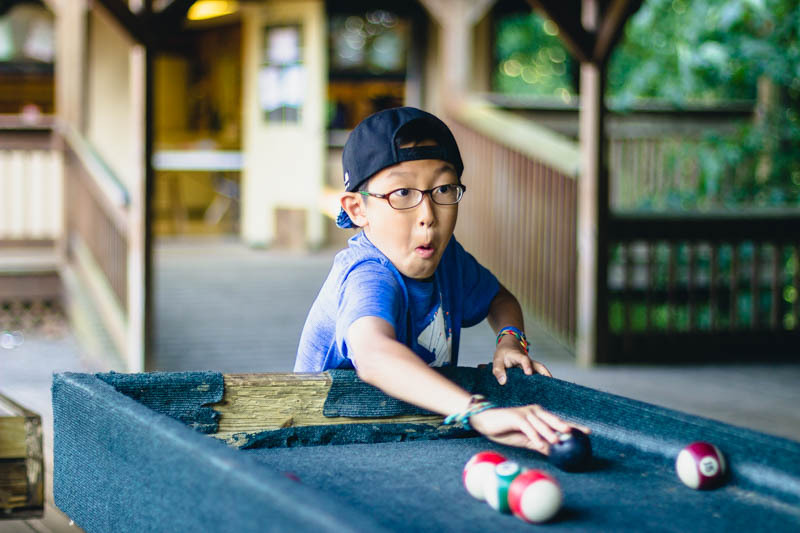 On Sunday morning, campers wake up an hour later, attend chapel, move back into their cabins (if necessary), and go to the pool before uniting with their cabin and starting a new week. What happens if my child becomes ill while at Camp? In the case of serious illness or other situations that require seeing a physician, the Camp Director or nurse will notify parents. Parents are invited to talk with the Camp Director, one of the three full-time nurses, or the counselors about individual camper needs when you arrive at camp. Remember all medications, prescriptions or over the counter medications must be turned in to the nurses at Check-in. They must be in the original containers. How can I help reduce the likelihood that my child will experience homesickness? Campers look forward to hearing from you. Please write them so they receive a letter on Monday or Tuesday (you can leave letters at the Trading Post on check-in day. We’ll make sure they get delivered with the regular mail). We suggest writing letters that are happy and newsy in a way that won’t make a camper homesick. We don’t want your kids to feel like you can’t get along without them. We don’t recommend discussing this before their week at camp as it often leads to homesickness. Temporary homesickness is totally normal, especially for new campers. Overcoming homesickness is an opportunity to grow and mature. Our staff is trained in handling homesickness in constructive and loving ways, and we look forward to helping your child grow. How do I contact my camper if we have an emergency at home? Unfortunately, emergencies happen. In the event of an emergency, please contact us at camp at 765-564-2898. 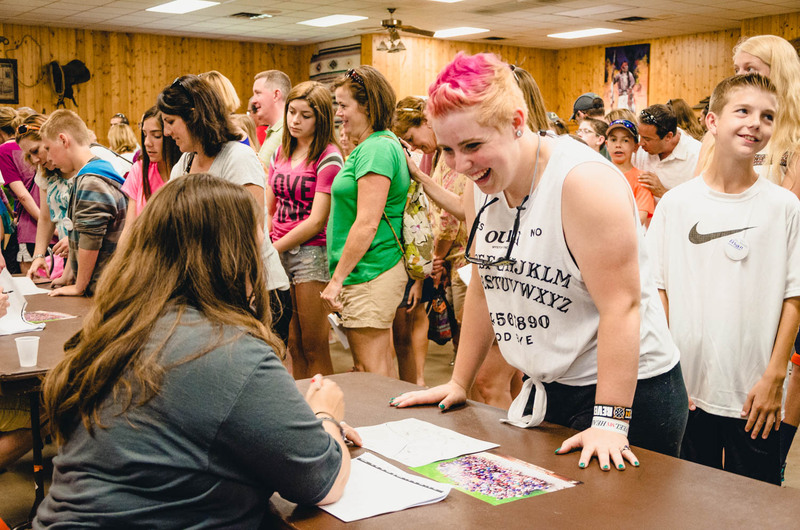 The Camp directors will work with parents to determine the best way to notify the camper. If calling outside of office hours, please follow the voice prompts for accessing camp’s emergency phone. Making direct contact with a camper before speaking with Camp staff is strongly discouraged. Can I send my camper emails, letters or packages? Absolutely! You can email your camper using our Camper Email form. We will print these emails off each day and deliver them to your camper after lunch. Each email your camper receives costs 50¢ which will be deducted from the camper’s trading post account. If you’d prefer to send a letter or package, you can mail it to 12635 W Tecumseh Bend Rd, Brookston, IN 47923 with the camper’s name and cabin (if known) prominently shown on the item. Visitation by parents and family is welcomed on the weekend between sessions for campers who are staying longer than one week, but we do our best to limit camper exposure from outside contact as much as possible during the week. We don’t want to interfere with a camper’s enjoyment and growth at Camp when they are engaged in Camp activities. We don’t allow pets on camp property without a leash, and alcoholic beverages on camp property is prohibited. Visiting Campfire: Attending closing campfire on Friday evening is only open to former staff members and parents of staff members. Can I pick my child up early? Can I take my child out of Camp temporarily and bring them back? Between school, sports, and extracurricular activities, we understand that conflicts sometimes arise. If your camper needs to leave Camp temporarily, or needs to be picked up early, please fill out a special leave card from your child’s counselor on check-in day. We’ll make sure to have your child ready. Please note, we cannot release a child to anyone other than a child’s legal guardian without written permission from that child’s legal guardian. Because we don’t want to interfere with closing campfire, we cannot facilitate early pick up between 7:30pm and 10:00pm on Friday night. Please make arrangements to pick your child up before or after closing campfire. We also ask that you not try to pick your child up during our final chapel on Saturday between 8:00am and 9:00am.